– Exploiting weak ties between people and implicit enterprise know-how to improve activity execution and disseminating of knowledge. – Increasing transparency and participation to the decision procedures, so as to raise awareness of the processes and acceptance of the outcomes. – Involving (informal) communities in activity execution, thus assigning the execution to a broader set of performers or to find most appropriate contributor within a group. The Social BPM Summer School is organized by Politecnico di Milano in collaboration with OMG, WfMC, University of Trento, and the BPM4People project. The school will be held in Como, Italy, from July 17 to July 20, 2012. The School will feature world-renown speakers in the field, spanning from industry to academia and standardization bodies. Among the others, speakers will include: Richard Soley (president of OMG), Bruce Silver (US trainer and consultant in BPM), Sandy Kemsley (worldwide expert in Social BPM, Canada), Claudio Bartolini (Social Enterprise expert from HP Labs Palo Alto, USA). 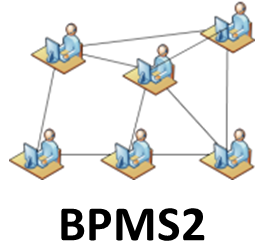 The School will address the motivational, business and technical issues associated to the adoption of Social BPM practices in the enterprise and will comprise a project work developed by participants during the days of the school. The School comprises a practical project work, performed under the guidance of the Social BPM experts in dedicated sessions during the School days.